I didn’t fully engage with educational research at the start of my career but in recent years it has transformed my teaching practice and further built my confidence in the classroom. As a trainee teacher I was told that educational research informed us about VAK learning styles and the idea of the learning pyramid! This so-called research is now better known by many in education as edu-myths, theories that have been debunked because they are not supported by the science and research as initially claimed. This post isn’t about debunking myths but if that is something you are interested in then I can highly recommend the work of Pedro De Bruyckere, Paul Kirschner and visiting the popular blog by US educator Blake Harvard. I am very fortunate that at the school where I spent the first six years of my career I worked with a Deputy Headteacher, Paul Williams who was really interested in the latest educational developments and research linked to education. Paul introduced and shared the work of Carol Dweck, John Hattie and other influential individuals in education with my colleagues and I. It was also Paul that encouraged me to join Twitter as an educator which has proven to be an invaluable source of inspiration, learning and professional development. 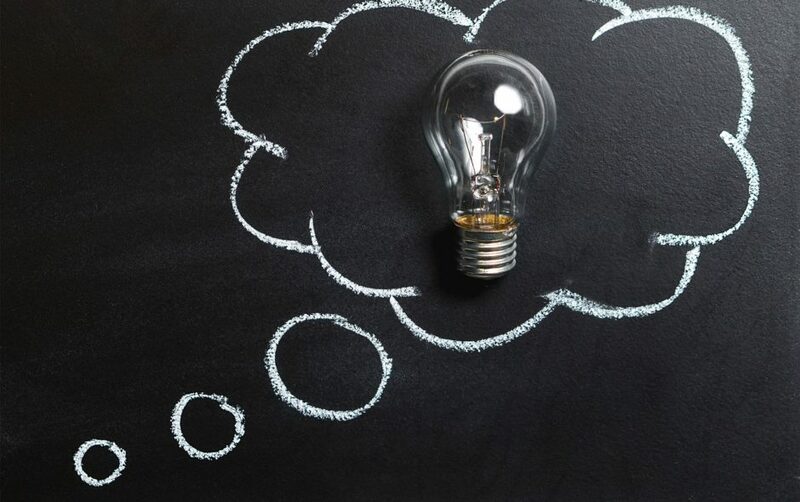 Educational research is becoming more and more accessible for educators with interesting research summaries available online. 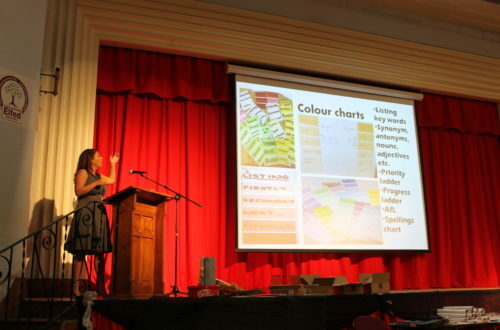 There are numerous professional development events held with a focus on sharing educational research and how that can be applied in the classroom, most notably ResearchEd. 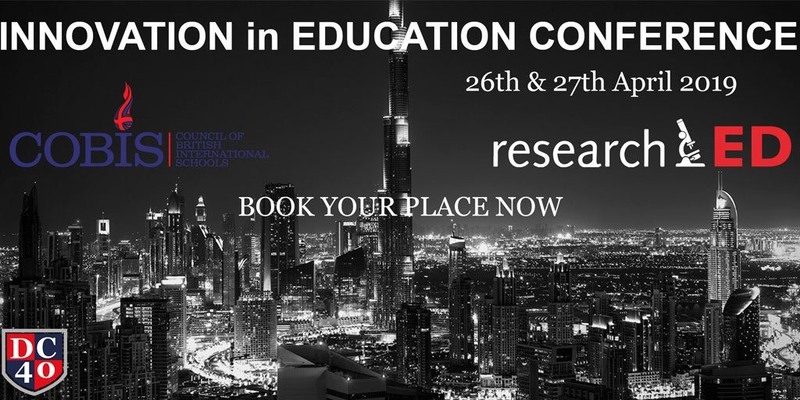 I am very excited to be attending and presenting at ResearchEd in Dubai later this year. 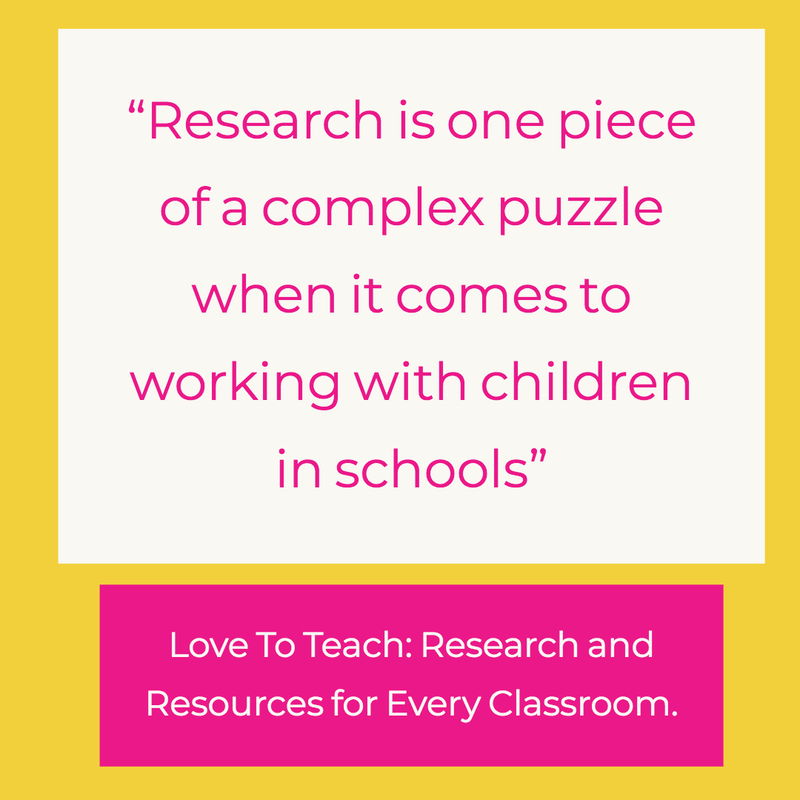 My first book has recently been published Love To Teach: Research and Resources for every classroom. The book was originally intended to be a book for teachers filled with resources that they can apply and adapt for their classrooms. 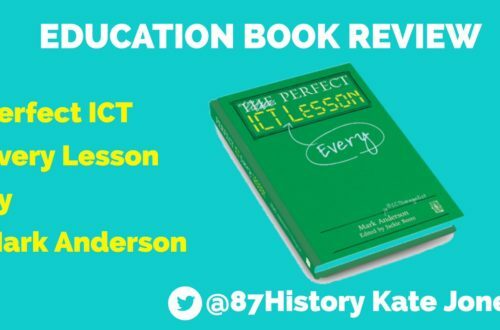 There are a huge amount of resources and ideas shared in the book but I felt it was important to explain how the resources are linked to educational research and the reading I have undertaken. You may already be familiar with Henry Roediger if you have read the brilliant and informative book Make It Stick: The Science of Successful Learning as he co-authors this book with Peter C Brown and Mark McDaniel. You may also be familiar with Megan Sumeracki as she is one of the wonderful Learning Scientists too (The Learning Scientists are discussed below). This paper is very interesting, it isn’t promoting an exam factory culture of testing but instead clearly explains the benefits of retrieval practice. I took away several points from this paper and this further helped to me to understand the importance of the “testing effect”. You can find this paper here (I didn’t need to register I was able to download freely). I have already mentioned Paul Kirschner as he is well-respected in his field and has helped a lot of educators globally, Kirschner is also a renowned educational urban myth buster! I found this to be a fascinating read. 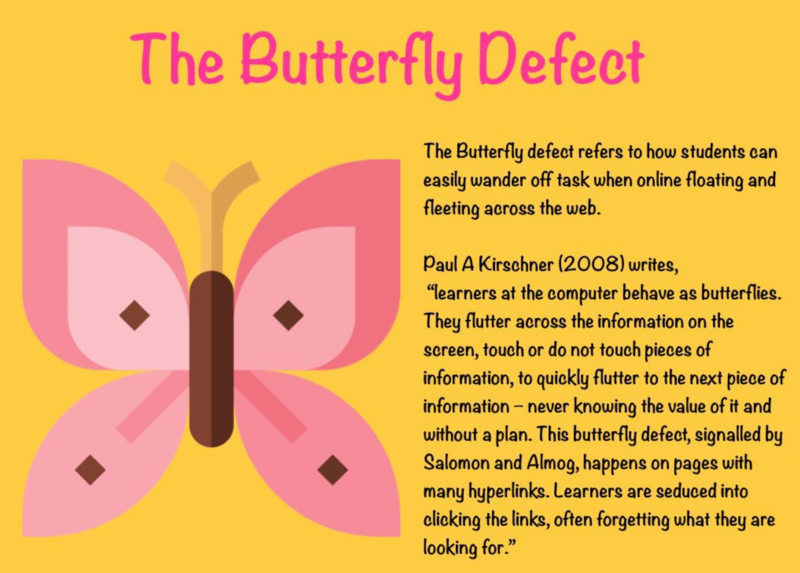 I was sharing some research from this paper at a conference and someone commented on the fact that it was ten years old but the topic of our discussion the butterfly defect (see below) is more relevant and important now than it was ten years ago! You can access this paper digitally by clicking here and simply setting up an account with an email address. Dylan Wiliam tweeted in 2017 that the work on Cognitive Load Theory (known as CLT) by educational psychologist John Sweller and his colleagues is ‘the single most important thing for teachers to know’. Naturally, this tweet attracted a lot of attention and discussion. I am aware of some educators dismissing CLT or state that the idea of asking learners to do too much at once will overload them is an obvious notion. Yet I can reflect on many of my previous lessons where there were lots of distractions and the tasks I used or created didn’t take into consideration cognitive overload. There are lots of educators who advocate the work of Sweller and write about CLT, most notably blogger and author Greg Ashman. For any educators wanting to find out more or simply interested in CLT then I can highly recommend this paper as it has helped me greatly. It is a document I have returned to and referred to more than once. You can download this paper and other papers linked to CLT by the Centre for Education and Statistics here. Yes, Kirschner and Sweller appear again! I know some educators dislike the title of this paper because it is viewed as supporting one pedagogical approach and ideology over another ( in addition to being a lengthy title!). Despite the issues with the title, I do think it is worth reading and I would encourage teachers to read it. There are some very powerful statements and messages for teachers to think about and reflect on, especially the idea that learning is a change in long term memory. You can access it here. Making things hard on yourself, but in a good way: Creating desirable difficulties to enhance learning. Elizabeth L Bjork. Robert Bjork. 2011. If you are familiar with the term and concept of ‘desirable difficulties’ then you will likely be aware of the work of Bjork and Bjork. If you are new to the work of Bjork and Bjork then you should listen to them both in an insightful and interesting interview discussion with Maths teacher Craig Barton, I really enjoyed this podcast episode. Desirable difficulties are about getting the level of challenge just right – not too easy, not too difficult but difficulties that are desirable and possible! There’s more to this paper than that so please do check it out. This suggestion is for a website rather than one specific article or paper. If you haven’t seen visited this website you should because it is very useful and thought-provoking. 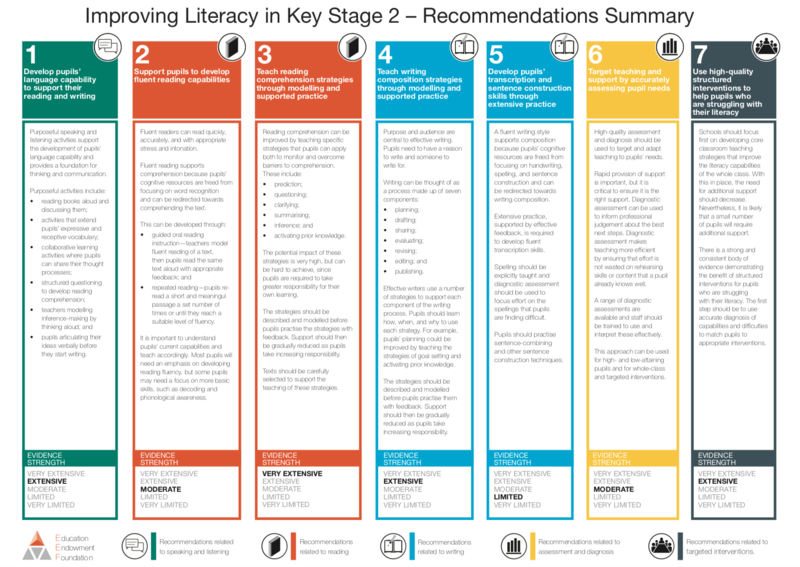 There are a wide range of research summaries ranging Early Years Toolkit to Evidence on marking and Closing the Attainment Gap. The toolkits consider evidence, impact and cost in their summaries so this can be very helpful for middle and senior leaders. The EEF is an independent charity dedicated to breaking the link between family income and educational achievement. Click here to visit the EEF Teaching & Learning Toolkit. This is the only research summary that I have given to my students (in addition to my colleagues). 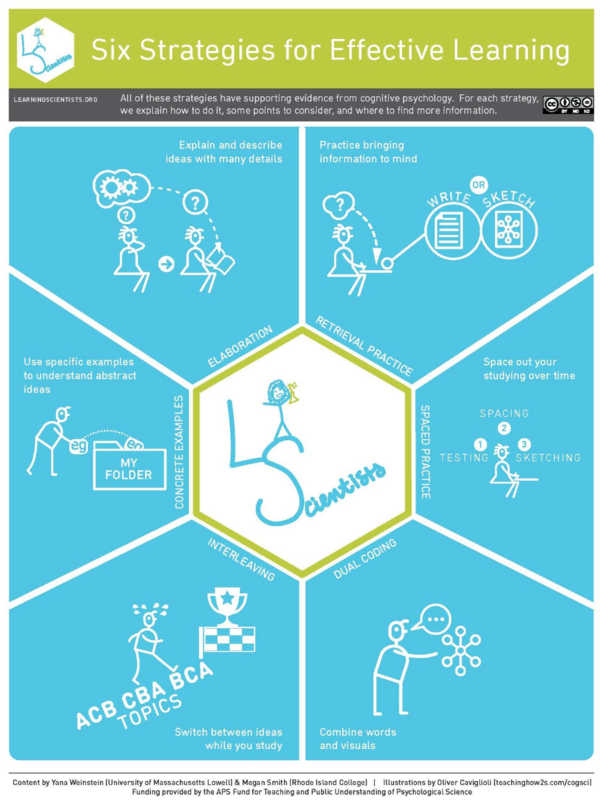 This is an easy read and comprehensive overview of why some revision strategies are much more effective than others. Do your students still believe highlighting all of their notes is the best revision strategy? If so they need to read this! 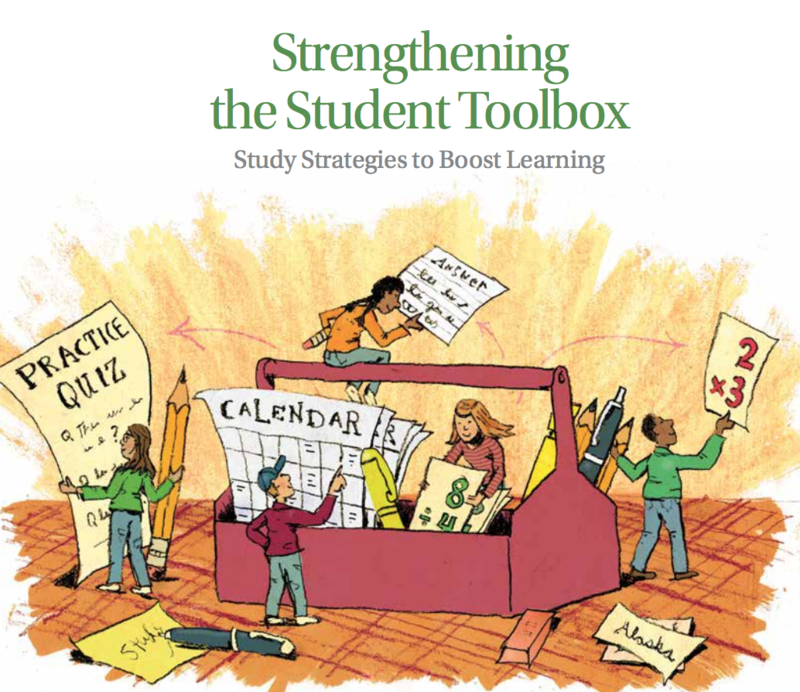 Teachers and students need to know the most effective learning strategies so we can stop wasting so much time, effort and energy on those strategies that are not as effective. I’ve read this more than once and will continue to share it with my classes – it is brilliant! Download it here. The work of Rosenshine has been widely shared, discussed and explored online in recent years. I write about the work of Rosenshine in my book and how I have applied these principles in my classroom. Author and education consultant Tom Sherrington regularly discusses Rosenshine at educational events and he has blogged about the work of Rosenshine, which you can find here. You can access the Principles of Instruction here. The fantastic website www.learningscientists.org is a student, parent and teacher friendly site. It is a site ran by a team of “learning scientists”, not teachers but cognitive psychological scientists interested in research linked to education with “a vision to make scientific research on learning more accessible to students, teachers and other educators“. I really like this site as do many of colleagues and students. There are so many blogs, resources, videos and podcasts that all focus on the science of learning. There are lots of useful links that can be found on the site to relevant research papers and blogs mainly focusing on cognitive psychology and the different strategies promoted on the site (see image below). I have a copy of the new book by Learning Scientists Yana Weinstein and Megan Sumeracki with Oliver Caviglioli entitled Understanding How We Learn: A Visual Guide. I am very excited to read it and find out even more about the science of learning! I was very fortunate to attend a presentation delivered by Rob Coe at the annual Festival of Education held at Wellington College in England. I recognised his name but I hadn’t actually read any work by Coe and his colleagues at Durham University with the Sutton Trust and Centre for Evaluation and Monitoring (CEM). His presentation was excellent. Coe also reinforced some messages and important points that I felt strongly about – for example, I remember Coe discussing the problems with grading lessons. At this point, my school were grading lesson observations so I was able to share this research and information with SLT at my school and the following academic year lesson observations were no longer graded. A small but important victory! The important content from that presentation can be found in this report. This is a must-read for senior leaders too. Click here to download and read What Makes Great Teaching? 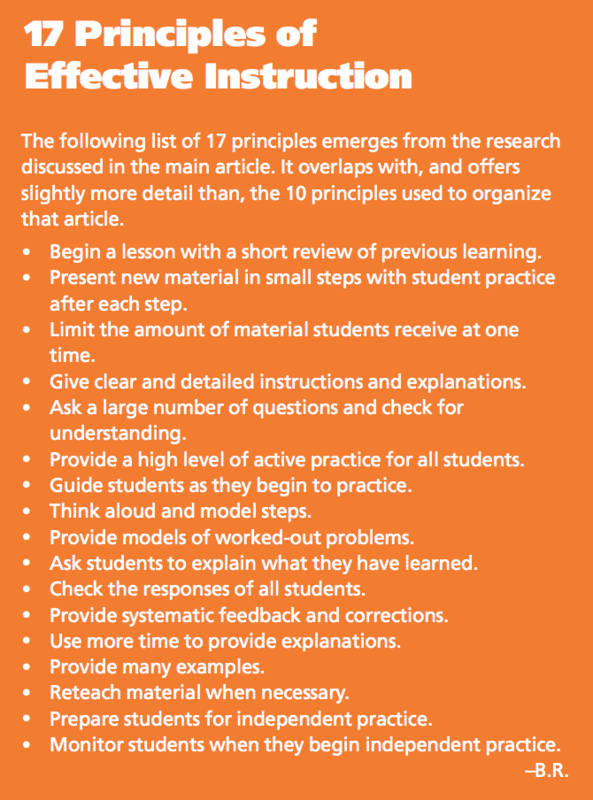 Information about retrieval practice can be found on the sites and papers above but if you are interested in this powerful classroom strategy then you should visit www.retrievalpractice.org. This site was launched by Cognitive Scientist, Assistant Professor and author Dr Pooja K Agarwal. This site contains summaries, blogs, resources, book recommendations, videos, podcasts and guides. Everything is free to download and there are lots of suggestions for further reading. 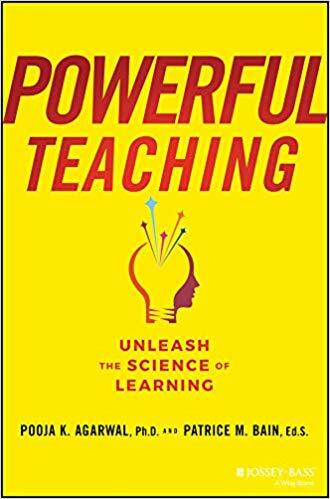 I have recently read an advanced copy of Powerful Teaching: Unleash the Science of Learning by Pooja and teacher Patrice Bain. I loved this book so much and I can highly recommend it as it further builds on the excellent work on the website. You can pre-order a copy of Powerful Teaching here. Other bloggers have shared research papers and summaries that have improved their practice. If you have found this blog interesting then you should definitely visit this post by Tom Sherrington and this vast collection of research, articles and blogs by Adam Boxer here. Thanks for taking the time to read my post. If you want to get in touch you can do so via the contact page on my site or you can drop me a message on Twitter. If you would like to purchase my book you can buy it from Amazon here. 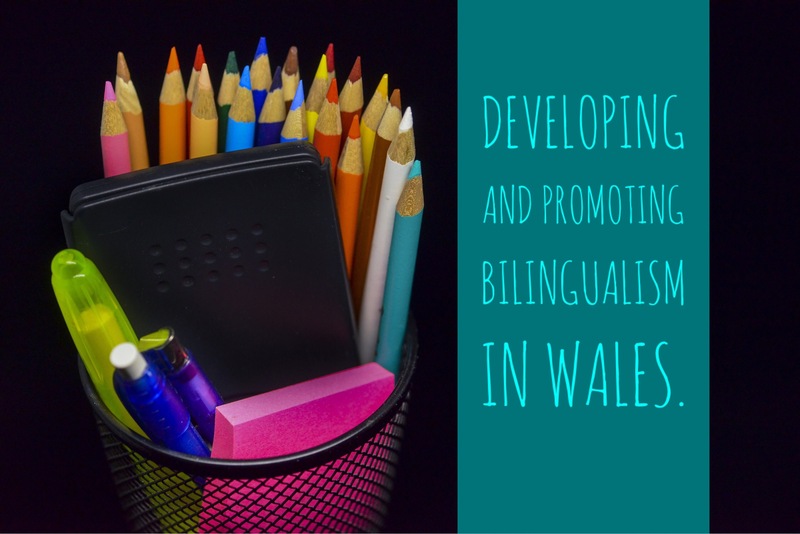 Developing and promoting bilingualism in Wales.